« Go! Go! to the GO!GO!7188 show! 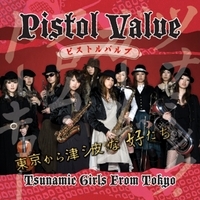 Pistol Valve’s album Tsunamic Girls From Tokyo is now available to order on cd baby. This US only version includes their “best” songs from the 2 previously available in Japan mini-albums. 2 – Pull the TRIGGER!